Home » healing , Reiki » Left Brain Shut-down! 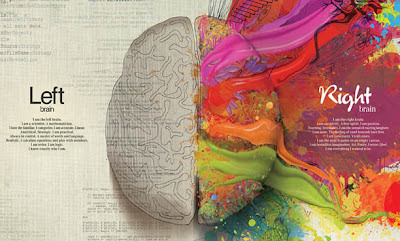 isn't it good to be left-brained ;) ? hey you have got a award from me.. check my blog! I wonder if i have any lobe functining optimally in the present. too much going on on both fronts! Hey the symptoms of Left Brain fogginess seem to match with me ... hmmm I need to read the other article you linked to figure out whether I am left brained or not .... chances are high :D what say ? You'll need to take the Quiz mentioned at the very beginning of this post. The link given at the end of this post is a completely different post about spiritual ascension in general and not specific to left/right brain. I was just wondering... since you hail from Bihar, which is renowned for among other things... dacoits! The legendary ones as well as the unsung ones... but who too could be the protagonist for some riveting tales. Bengal too has had several legendary dacoits. I have just written a post on them... titled, "Tales of Dacoits and one unique story... dating back three centuries!" Do let me know your thoughts on it... if you can. I have asked yet another blogger friend.. hailing from U.P. to try and pen down some tales from that region too. And then we could link them up... maybe. What say... ??? Hey, the spiritual ascension link was really helpful. Was beginning to get a bit scared with the sudden hits of bouts of energy. Read the link and it was quite useful. You have a nice blog here. Keep up the good work and continue writing! :( Mujhe lagta hai my both sides left/right brain detest my sensibilities. Ha ha ha! No u don't sound dumb... instead u sound like u'll soon make us all dumb! Why do u want to switch sides though? Hey Ram! Asking such a peace-loving girl like me to write abt dacoits! Heyyyyyyyyyy Ram! Kaddu... I'm serious! Why don't you write a few stories... of the lesser known ones, that is. Stories that are not found on the net... probably you heard them from grandparents/parents and others. Or read in books that are now out of print. Seriously, haven't heard of any famous dacoits in Bihar! And even if I had, then also a story on dacoits would just not go with the theme of my blog. It's really fun in doing the left right brain tests and as a result I have found myself as right brain oriented.